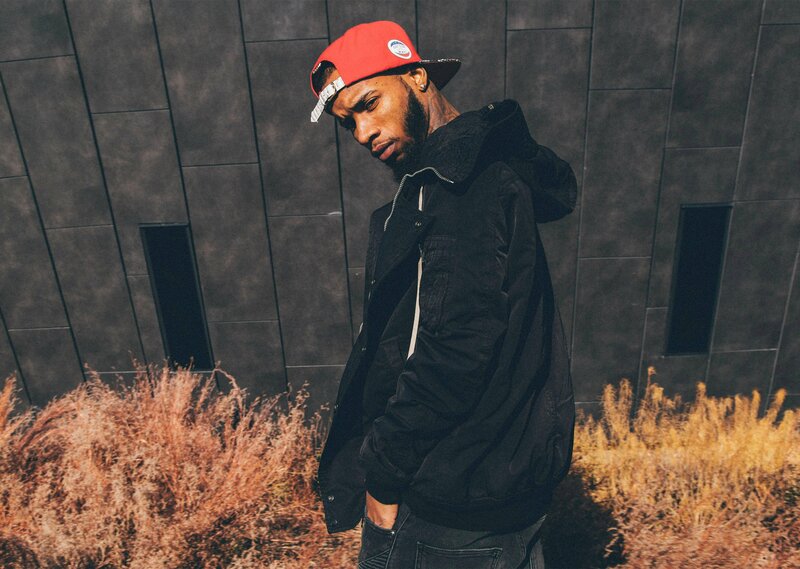 Tory Lanez comes with his new single, “LUV”. The dancehall inspired record, produced by Benny Blanco and Cashmere Cat, is the second single lifted off Lanez anticipated debut album, I Told You, due out later this year. The record borrows from the classic single, “Everyone Falls In Love”, by Tanto Metro and Devonte. “LUV” certainly has a danceable rhythm to it. Deep bass, not too imposing but enough to get in your head and down to your feet, permeates the track. The vocals seem to have a slight touch of autotune to them but, again, not too imposing. Relatively subtle track all round, understated but not one you exactly strain to hear. The visuals are all over the place, whether that is in a car, house party, swimming pool or desert. Good use of contrast with the latter two? Some of it is a tad saucy, especially the pool scene where Lanez and his woman make out underwater. It is done reasonably in good taste. The end sees him sat down on the road, with a car coming his way.